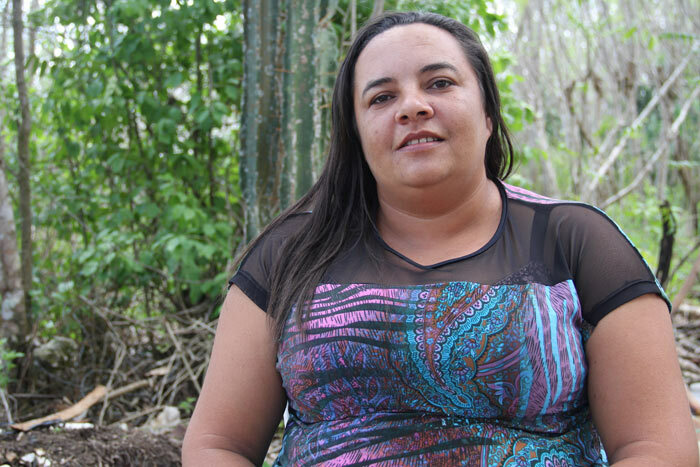 Márcia Patrícia is a family farmer in the Brazilian semi-arid. 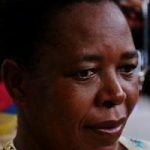 Active participation in the local rural workers union and access to water capture and storage technology transformed her life. 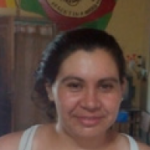 My name is Márcia Patrícia and like the great majority of women in the semi-arid I was destined by local custom to travel long distances to fetch water for the most basic of household needs. I was born in the municipality of Queimadas, in the rural east of Paraíba. As a child I worked hard to help my mother raise my 13 siblings. I married too early and faced deprivation and violence. When I started to participate in the rural workers union of the municipality life took a new turn. Contact with the union allowed me to meet and exchange experiences with others. I also gained access to two hydrological structures: a cistern to store drinking and cooking water and one for food production. The cistern is a technology that can capture and store rain water that would otherwise be lost as runoff. This removes the burden of travelling long distances to fetch water, especially for women, and enables them to grow food. The ‘pavement-cistern’, which stores 52,000 litres of rainwater from a 200 m2 pavement, allows me to produce food, bringing autonomy and freedom. Today I market my produce and have become a community leader. I am the director of the rural workers union and the coordinator of the comission on animal husbandry within Polo da Borborema, a network of family farmers’ organisations and trade unions. My experience is not an isolated one. In the Polo da Borborema, an initiative of 14 rural unions and more than 5000 women farmers led to the construction of about 1200 ‘pavement-cisterns’. This technology has strengthened a network of women farmer experimenters who are building autonomy through food production that can withstand even the most severe droughts. In the past few years, more than 120,000 families across the entire semi-arid region of Brazil have mobilised around access to water for food production. 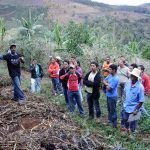 They are transforming their own initiatives and experiences into public policies that can alleviate poverty, guarantee food security and, above all, empower women family farmers.